We have reached the end of Round 7 in the regular season in the Euroleague and we now have 7 teams qualified for the Top 16. You don’t need to be an expert in arithmetic to realise that this leaves 9 spots up for grabs, which means that many teams still have a great deal to play for in the remaining last three rounds of the season. The majority of the action in Round 7 took place on Thursday night but there were still more than enough great moments of action and excitement to look out for on Friday night in the Euroleague. There was just the one game in Group A on Friday night but yet again, it was a score that grabbed the attention of the basketball community in Europe. 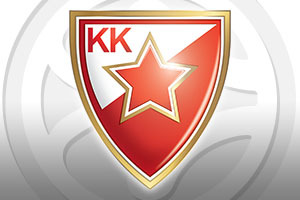 In an almost unbelievable turn of events, this score line means that with just three games remaining in the regular season, the reigning league Euroleague champions are sat at the bottom of their group. This was a game that Madrid led but a strong finish saw the hosts move on to a 3-4 record while the Spanish giants slump to a 2-5 record. Maik Zirbes was the key player in the game offering up 26 points with 15 of these points coming in the last 6 minutes of the game. Quincy Miller also delivered in a strong manner, offering up 24 points while Stefan Jovic provided 12 points for the winning team. For the losers, Sergio Rodriguez grabbed 16 points, Gustavo Ayon provided 16 points, Trey Thompkins provided 14 points, Felipe Reyes served up 12 points and Andres Nocioni grabbed 11 points. With the teams in third, fourth and fifth place all on a 3-4 record, Madrid are not detached and they still have a decent chance of making it through to the Top 16, but their form has been abysmal this campaign. All of the Group B games took place on Thursday night Group C offered up two games on Friday night which ended with two teams having qualified from the group. If you are going to qualify for the Top 16, you want to do it in style, and this was a rout to send Lokomotiv through to the next stage of the tournament. This was a fine win, with the hosts creating a new Euroleague regular season record for the fewest points allowed to an opponent and there was a close run thing with respect to the margin of victory. This score line was 1 point short of being the biggest margin of victory in the Lokomotiv’s history. It was also a grim night for the side from Kaunas with this being the lowest number of points they have scored in a Euroleague game. Lokomotiv grabbed the initial 10 points of the game and this set the tone for the game, allowing the hosts to move to a 5-1 record while Kaunas fell to a 3-4 record. The half-time score was53-17, which was the third biggets half-time score in the history of the Euroleague. At one point the gap was above 40 points but the home team took their foot off the gas and cruised to victory. Evgeny Voronov offered up 14 points while Ryan Broekhoff grabbed 12 points and 9 rebounds. Anthony Randolph provided 11 points and 4 steals, Victor Claver offered 10 points and 10 rebounds for a double-double and Malcolm Delaney offered delivered 10 points and 6 assists. Ian Vougioukas was the top man for Zalgiris with 15 points while Brock Motum offered up 14 points. This was a tight game that the away team were never behind in but they needed a last minute shot to grab the road win that they desperately needed in Group C. This win moves the Athens team to a 3-4 record and they are sharing third place with Kaunas. For the hosts, they drop to a 2-5 record, and they’ll need results to go in their favour in the next few weeks if they want to make it through to the Top 16. 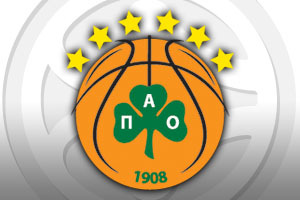 Panathinaikos have now done the double over Pinar, so the head to head would go the way of the Greek team. In the last minute, the score was tied at 66-66 but Nick Calathes grabbed a three point shot and then James Gist served up a clutch block with 20 seconds left on the clock to give the Greek team their first win on the road this season. Gist provided 14 points. Miroslav Radujlica provided 11 points while Calathes grabbed 10 points including that vital last minute effort. For Pinar, Colton Iverson provided 14 points, Can Altintig offered up 12 points and Justin Carter provided 11 points and 7 rebounds. There are three teams already qualified to the Top 16 in Group D and it doesn’t look as though there is much of a race on for the final spot, so this group could fall a bit flat after Round 8. This was a game that many people were expecting to be a rout but in the end, it went down to the last minute. The fact that CSKA Moscow had already qualified for the Top 16 meant it was likely that they would be far from their best, and Dinamo pushed their opponents all the way. Sadly the result means that the team are now on a 0-7 record and they have been mathematically eliminated from the race for the Top 16. Marquez Haynes tied the game at 86-86 in the last minute but Milos Teodosic split the teams from downtown and then Nando De Colo grabbed 4 free throws to put the Moscow side in charge in the last few seconds of the game. Teodosic grabbed 21 points while De Colo served up 17 points in the game. Cory Higgins was also on form for the hosts, providing 11 points and Nikita Kutbanov provided 10 points. David Logan offered up 21 points for the away team, Christian Eyenga provided 19 points, Haynes offered up 14 points and Jarvis Varnado provided 10 points in the loss. 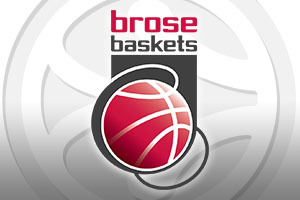 Brose Baskets Bamberg became the third team in Group C to qualify for the Top 16 with an excellent away win in Istanbul on Friday night. This win was the fourth victory in a row for the German side and they move on to a 5-2 record. The hosts fall to a 3-4 record but they are in fourth place and fight it out with Maccabi for the final spot. Given that they have a two-win lead over the Israeli side, the Turkish side is the favourite to qualify from these two teams but they will still have some work to do to book their spot. Daniel Theis stepped up when the hosts got back to within 6 points but he drove the Germans home at the end to seal the all-important win. Theis grabbed 13 points, Bradley Wanamaker offered up 11 points and Nicolo Melli enjoyed a career high of 12 rebounds in the won. Jamon Gordon provide 13 points for the hosts, Marcus Slaughter provided 12 points and Milko Bjelica offered up 10 points for the losing home side.